After smelling this perfume, I realize that I hold a special place for gourmand fragrances.. sweet sugary, food smelling fragrances.. I grew up eating way too much candy, so it seems like a natural progression that I would want to smell of it as an adult. I smell condensed milk mixed with cotton candy and honeyish vanilla.. yum. It smells like I remember white rabbit japanese candy tastes (minus the edible rice paper wrapper). This scent is very edible for me.. I love the creamy vanilla sugaryness of it, but it does not really last all that long. I dont know that this could be my new signature scent – but its a nice scent for those cold winter nights watching tv all wrapped up in a blanket. Gardenia.. Really really fresh gardenia. I liked it because the scent is very true, its smells exactly like gardenia and nothing else.. But it is a little too simple for my taste, and its a bit hollow if that makes sense to anyone but me.. Although later in the day it smelled a lot cleaner than how it originally started, I think if im in the mood for gardenia I’ll just wear my Micheal Kors. I felt like this smelled a bit like a lot of mothers smelled in the 80s, thats really the best way I can describe it. It was too powdery for me. 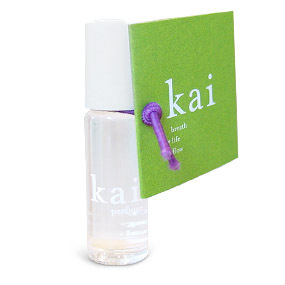 This would be a nice gift for Moms who when they were younger loved Baby soft musk.. it is sort of like that, but much more expensive. 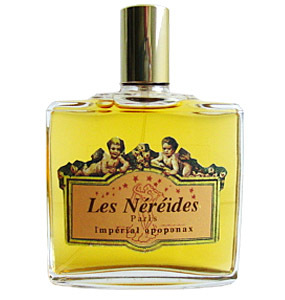 Day 2 of my search for my signature scent.. Today Im wearing Imperial Opoponax by Les Nereides.. This is actually one of those unisex fragrances – and i dont usually like unisex fragrances because I dont like smelling masculine.. this one starts off very manish – and when i first put it on I was upset – it reminded me of a more masculine Shalimar, which is very gaudy to me, what a rich old woman would smell like, opoponax is one of the top notes of Shalimar.. 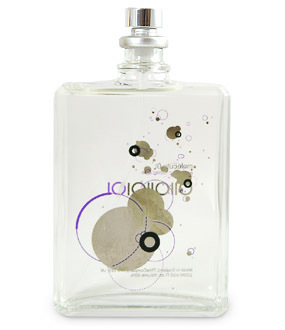 I started to smell it change a little bit within about 20 minutes.. it smelled more feminine, but didnt really feel like something that was me.. Some vanilla-ish scent in there, the notes that were explained on the website are: opoponax (sweet myrrh), amber, vanilla, sandalwood, benzoin, citrus. Its very hard to describe the scent now.. I will see what it morphs into while im reading my book in bed tonight.. From yesterday, the Molecule 01 gave me little whifs of scent that was nice.. But i realized that i am the type of person that doesnt like not smelling her perfume.. I felt like it just randomly puffed back up every once in awhile. 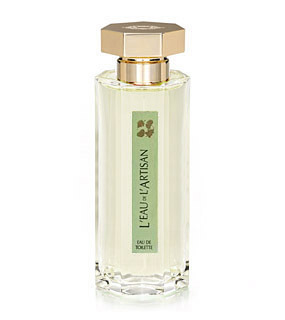 This perfume has a more lasting scent. It does smell a little more sophisticated and mature then the stuff i usually stick to, but thats what this is all about.. finding my new scent.. anyway – on to the next one! 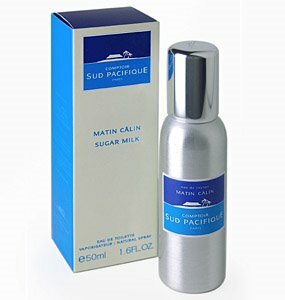 I found a great website with really great, high end only perfumes from around the world http://www.luckyscent.com/ .. If you’ve been in my bathroom, you know I have too many perfumes.. I figure, I’m engaged, living with my beau its time to settle down and find my signature scent.. so each day I will try a new scent, and write about it here..
Ok, heres the strange thing about this scent – its not really a scent, it doesnt smell like much in the bottle.. there is only one ingredient, a chemical compound called ISO E Super.. the smell is supposedly noticeable by others as it dissapears to the wearer very quickly.. Its interesting because after i put it on, i didnt think i put enough on, so i put on some more (mind you I am only using the little toothpick sized dabber) and then later I noticed it.. It smells faintly cedary, woody.. with a little of the after a snow ozonyness.. A lot of fellow reviewers said they noticed the scent stayed on their bedsheets, so it must really release when your body temp gets hot.. I’ll try it tonight and at work tomorrow and see if anyone notices it. I am a believer that you should have a different lotion for different parts of your body.. this stuff is called body creme, but i use it on my feet. only.. and Ive gone through 3 huge jars.. so i really like this stuff. 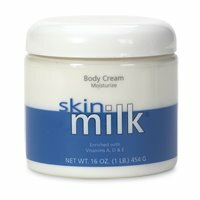 Anyway, doesnt smell like milk, it sorta has a milkish scent at first but actually once you put it on it doesnt smell like much, but it keeps your feet from getting to that really dry point where when you rub your toes together it makes your skin crawl.. Maybe im really nuts, but i cant stand when my feet get really dry. and the jars.. huge. but i said that already..